Last season was somewhat of a wakeup call for arguably the most successful team in the NFL over the past decade in the New England Patriots. Every single season the Patriots are able to put a competitive football team on the gridiron with a good chance of competing for a Super Bowl title and last season was no exception. Even though many people anticipated the New England Patriots getting back to form last season, the team had its fair share of struggles early in the year as Tom Brady was finding it hard to come back from his devastating knee injury. 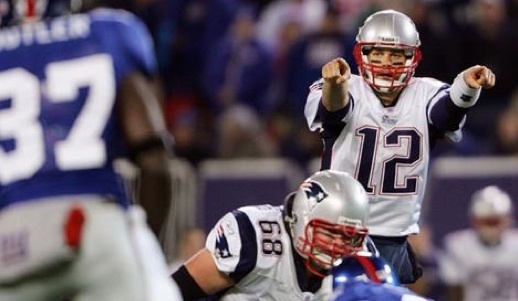 Despite getting off to a slow start, Brady was able to get back to form after an inspired performance against the Tennessee Titans in which he threw for an NFL record five touchdowns in one quarter. This performance was thought to be a point of resurgence for the Patriots, but even though they went on to win the AFC East, they were knocked out much earlier than expected against the Baltimore Ravens. Last season the Miami Dolphins looked good from time to time as their unique Wildcat offense was still confusing opposing defenses, but after their starting running back Ronnie Brown went down for the season, the Dolphins were basically done for the year as well as they just couldn’t compete with the New York Jets and New England Patriots in the AFC East. This season the Dolphins could be poised for a breakout year as they will have both Ricky Williams and Ronnie Brown in the backfield and a huge offensive addition in superstar wide receiver Brandon Marshall. Obviously, Marshall needs a decent quarterback to get him the football, but I believe Chad Henne might be able to turn into a viable option for the Dolphins behind center. Coming into last season, the Buffalo Bills thought they had a legitimate shot of competing for a playoff spot in the AFC Conference as they had a promising young quarterback in Trent Edwards, a solid running game led by Marshawn Lynch and a new superstar receiver in Terrell Owens. The pieces to the puzzle were there and to go along with a possibly potent offense, the Bills defense was pretty good too, but their season started to fall apart as nothing seemed to go right in Buffalo. Ironically enough, it was T.O. that tore the team apart, but it was simply because the team wasn’t that good. This upcoming season I would expect the same as the hasn’t really made an significant upgrades. The New England Patriots are not getting any younger and with every passing season their chances of winning another Super Bowl title starts to decrease. This season the Patriots will come into the year with relatively the same team intact, which is good news, but I don’t think it will be enough to compete with the likes of the New York Jets. It will be a tight race in the AFC East this season, but unless the Patriots can clinch an AFC Wildcard spot, I really don’t see them making the playoffs this time around. No team in the NFL last season made more of an improvement with a new head coach and quarterback than the New York Jets. Not only were the Jets able to get all the way to the AFC championship game last year, but they have completely turned around their struggling franchise after having a very disappointing season previously. With the addition of rookie quarterback Mark Sanchez out of USC and defensive minded head coach Rex Ryan from the Baltimore Ravens, the New York Jets have become one of the most dynamic teams in the league with a very promising future ahead of them. The New England Patriots might be considered favorites to win the AFC East division, but I am putting my money on the Jets as they are a dominant team on both sides of the football field.